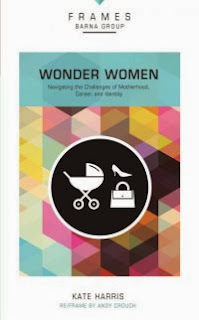 I was thriled when I recieved this book, as soon as I was able I cracked it open and I could not stop reading, it was so helpful as a mom who tries to balance her life as a mom, wife, career woman. One of the most surprising (and troubling) statistics that I discovered in this book is that while many women feel overcommitted at home and at work, hardly any women feel that way with their church and friend commitments. In fact, when asked which areas they would like to improve in, the highest percentages were first at church and next with friends Kate does an even better job at explaining the tensions that modern women feel in relation to juggling all of her responsibilities and opportunities. To have kids or not have kids? To stay at home or work part-time or work full-time, or perhaps a combination of these? If a woman chooses to work, what area to pursue? What does “career” look like for a mom? So many questions, but most of the “answers” surround managing logistics. Kate shares about her own tensions: This is a book that every woman should read, study and enjoy just like I did.